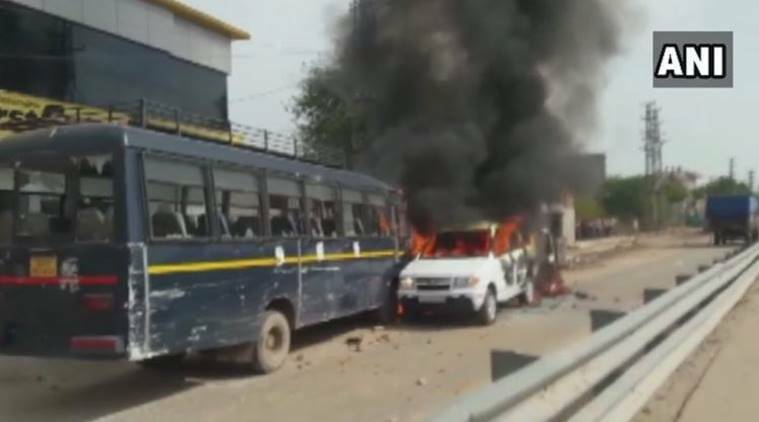 The Gujjar community agitation demanding five per cent quota in jobs and educational institutes turned violent in Rajasthan’s Dholpur district Sunday as shots were fired and three police vehicles torched. 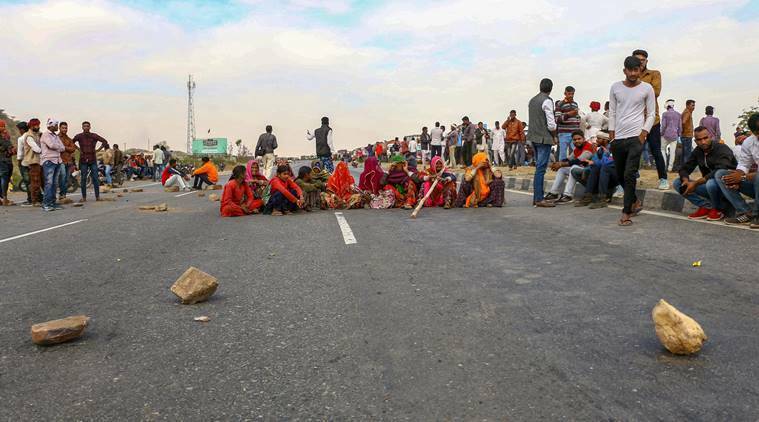 Unidentified miscreants fired 8-10 rounds in the air while the blockade on the Agra-Morena Highway was in place, Dholpur Superintendent of Police (SP) Ajay Singh told PTI. Three police vehicles, including two jeeps and a bus were set afire by agitators, Singh added. The SP said the protesters also pelted stones, injuring four jawans, adding that police had to lob tear gas shells to disperse the crowd. As a precautionary measure, authorities have imposed prohibitory orders under CrPc section 144 in Dholpur and neighbouring Karauli districts. The blockade by Gujjar Arakshan Sangarsh Samiti chief Kirori Singh Bainsla and his supporters began Friday evening in Rajasthan’s Sawai Madhopur district and has forced the West Central Railway (CWR) to divert, cancel or partially terminate nearly 200 trains in the last two days. The protestors are demanding five per cent separate reservation to Gujjars, Raika-Rebari, Gadia Luhar, Banjara and Gadaria for government jobs and admission in educational institutions. 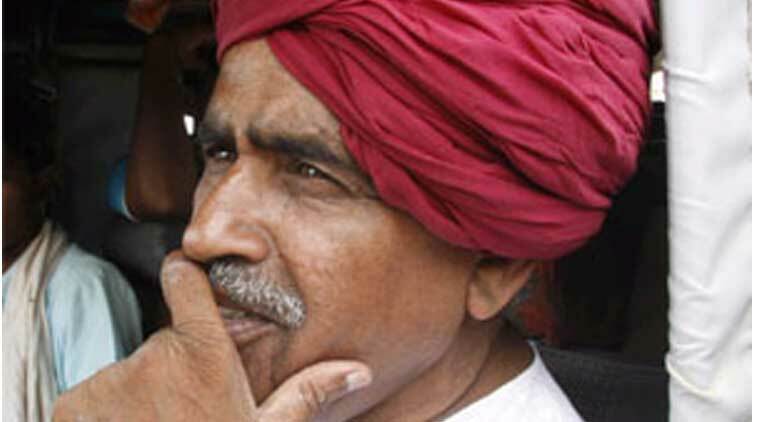 Bainsla had said that reservation was promised by the government in its election manifesto. “We will continue the dharna on the rail tracks. No compromise was made with the government delegation. We want a 5 per cent reservation order,” Bainsla had said. Chief Minister Ashok Gehlot called the stone pelting and the torching of vehicles unjustified. “Holding protest is justified but sitting on railway tracks is not. Protesters should come forward for talks. The government is open for dialogue and has constituted a committee,” he said. Due to the ongoing Gujjar protest in Kota Division, the Northern Railway has cancelled 18 trains plying today, 10 trains on 11 Feb, 12 trains on 12 February and 15 trains on 13 February. It has also diverted 13 trains commencing on 10 February and 5 trains on 11 February.